The SAP Design Guild will be retired at the end of the year. Please visit the SAP User Experience Community (www.experience.sap.com) to stay on top of what SAP is doing with regard to user experience and design. We are currently migrating popular content to the SAP User Experience Community. Please let us know of any SAP Design Guild content that is important to you and should be migrated. This page illustrates the evolution of the R/3 user interface, starting with terminal-based R/2 screens – R/2 was the predecessor to R/3 – and ending with screens demonstrating the current multiple-area approach. Note: This is only a very limited selection of screen shots. Ulrich Kreichgauer (Usability Engineering Center) helped to verify the characteristics of the different GUI (graphical user interface) versions. The R/2 user interface is based on terminal screens, which are often simulated by "terminal" programs on machines with a graphical user interface (Unix, OS/2, Windows). Note: The images are grayscale versions of colored screendumps. 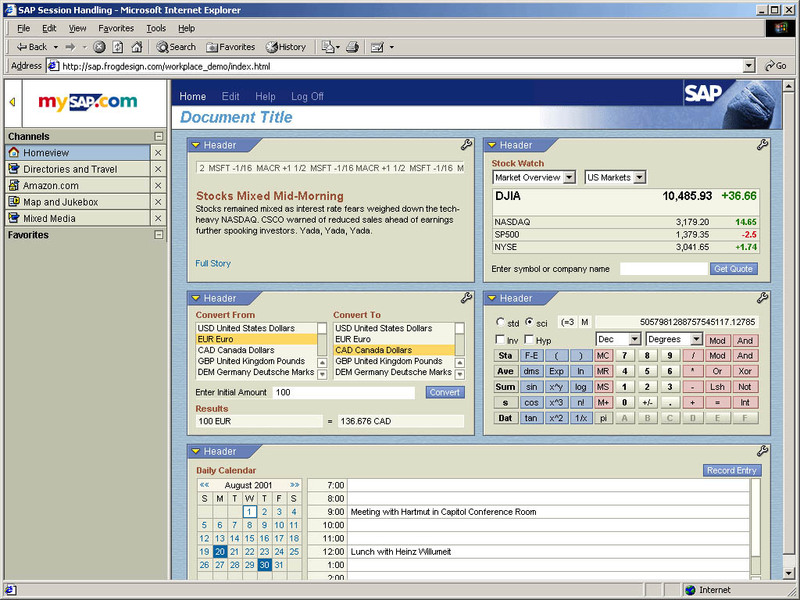 First "graphical" user interface for SAP software, typically in OSF/Motif look (OS/2 was strong then, too). Tables are created using the Steploop technology. There are no graphical elements, such as group boxes, checkboxes, radiobuttons, table control, tabstrip, icons (or even more advanced ones) available. Duality of dynpro technology (screen with fields, tables etc.) and ABAP list technology (used for interactive reporting). Both technologies can not coexist on one screen. 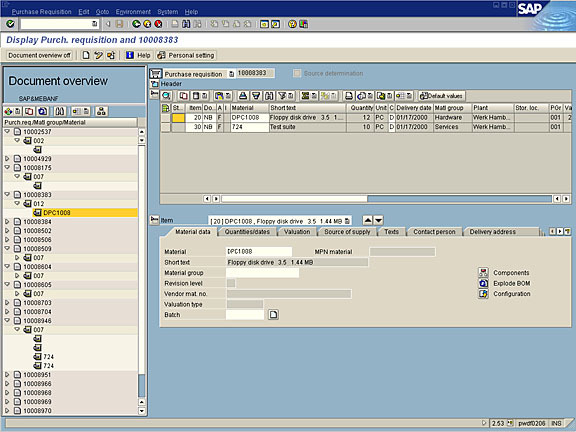 With this version, the Windows GUI starts to dominate the SAP user interface. Many users believe that this GUI is a "real" Windows application; however, its is still a "clever" terminal simulation. The new tabstrip control allows to collapse many screens into one screen offering different views – an often overused feature, which dramatically changes the look of R/3 screens. However, as the examples show, this feature is not adopted uniformly by R/3 applications at that time. The ALV (ABAP List Viewer) simplifies reporting. As the first version of the ALV is based on ABAP list technology, the duality of dynpro technology and ABAP list technology continues. More information is put into screens to avoid navigation. The ALV is now based on a grid control (read-only) and finally settles the technical problem of the duality of dynpros and lists. The GUI is "reinvented" (in cooperation with frogdesign) to allow for a new look and feel, as well as for branding. A new application design with a multiple-area approach introduced as an attempt to get rid of initial screens and to reduce the need for screen changes. The mySAP.com Workplace is the predecessor to portals.